The Utterly Uninteresting and Unadventurous Tales of Fred, the Vampire Accountant is book one in the Fred, the Vampire Accountant series. I grabbed this one after seeing a review by Melanie at HotListens. Fred is such a different take on vampires that I'm used to. 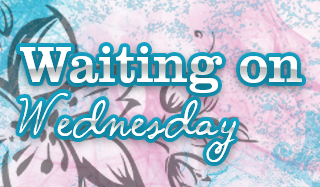 He's not a vicious killer or a swoon-worthy hero with fangs. He's exactly what you'd picture if you asked yourself what a vampire accountant looked like. He wears a sweater vest, and glasses and really doesn't like confrontation. This novel is full of short stories about Fred, and I enjoyed each story more than I expected, mainly due to the humor mixed in. We get a good dose of other paranormal beings throughout the stories from werewolves to necromancers. We even see Fred get a girlfriend which fit the story well. 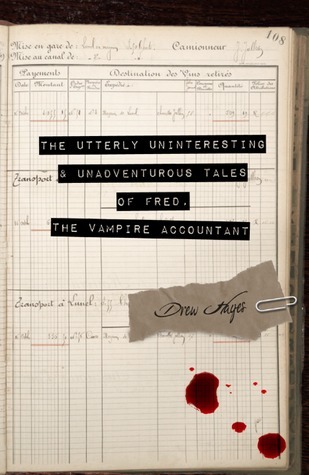 Fred, the Vampire Accountant was a really different take on vampires and I appreciated the originality and the humor. If you're a fan of vampires or want to try something different from the norm you should pick this book up! This was my first audiobook narrated by Kirby Heyborne and I thought he did a wonderful job. I found he suited Fred's character really well and it was easy to get sucked into the story. Was a really different yet good audiobook! I'm so glad that you tried this. I just love Fred. Like you said. So completely different from other vampire stories and I like the humor. I'm glad you enjoyed it as much as I did. Great review. I love vampires and a vampire story that's fun and humorous is great. Sounds like a fun read. Woohoo! Hope you enjoy if you give it a try! I think I'd pick it up for that title alone. First I a, hearing about this story. It sounds like you had fun with this one. Uh huh full of fun! I've always seen the swoon-worthy type as well! Am I the only one who got curious just by the title? I like when we have different takes on an already popular subject, it makes it for a very interesting read, and I'll be sure to check it out! lol. Just the title makes me laugh. This sounds good. And it's new to me! The title alone is an attention grabber for sure. Glad it was a good listen too!